Lucky To Be Me - A Life in Music' represents the first time a solo album of Alfred Drake's recordings has been issued. Presented as a Deluxe 2CD set, the album includes an entire disc of 'Demos, Live Performances and Rarities' culled from Drake's own private archive of recordings. Alfred Drake is undoubtedly one of the most iconic figures in the history of musical theatre. 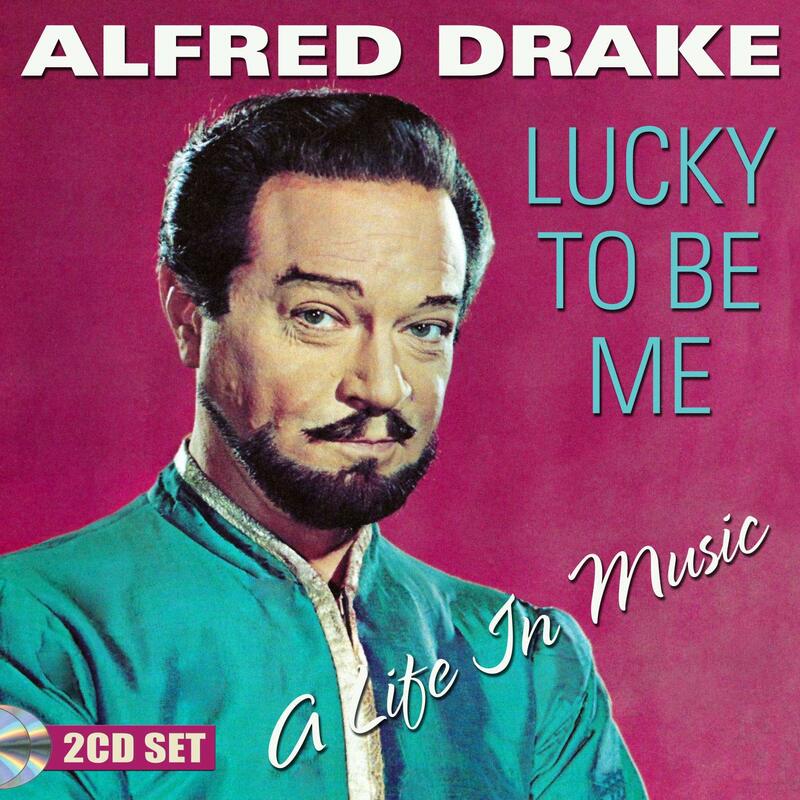 Lucky To Be Me - A Life in Music' represents the first time a solo album of Alfred Drake's recordings has been issued. Presented as a Deluxe 2CD set, the album includes an entire disc of 'Demos, Live Performances and Rarities' culled from Drake's own private archive of recordings. Alfred Drake is undoubtedly one of the most iconic figures in the history of musical theatre. In a career that encompassed every possible aspect of the performing arts, from Gilbert and Sullivan operetta to classic Broadway musicals and the plays of Shakespeare, his legacy is unparalleled. However, when you listen to his elegant voice a true picture of his spectacular artistry emerges. Stage Door have selected beloved songs from 'Oklahoma! ', 'Kiss Me, Kate', and 'Kismet', but have used less familiar performances to create a truly unique compilation with which to honour the great man. Of special note is the inclusion of the great 'Soliloquy' from Carousel, the recording of which he was most proud. Highlights from these unreleased treasures on disc 2 include his 1940 Metropolitan Opera Audition and demos recorded for the Broadway musicals 'The Liar' and 'Courtin' Time'. Compiled with the assistance of Broadway historian and Alfred Drake archivist George Dansker, 'Lucky To Be Me - A Life in Music' showcases the brilliance of Alfred Drake's work on stage and in the recording studio. There were many great stars on Broadway in the 1940s, 50s, and 60s. The distaff side had, of course, Mary Martin and Ethel Merman, to name only two of the most famous of that era. But there was only one comparable male star in this musical theatre galaxy - and that was the great Alfred Drake - who remains to this day Broadway's ultimate leading man.